Features:24G pitch, 5mm head diameter, stainless steel self tapping screws 2.9mmx16mm. 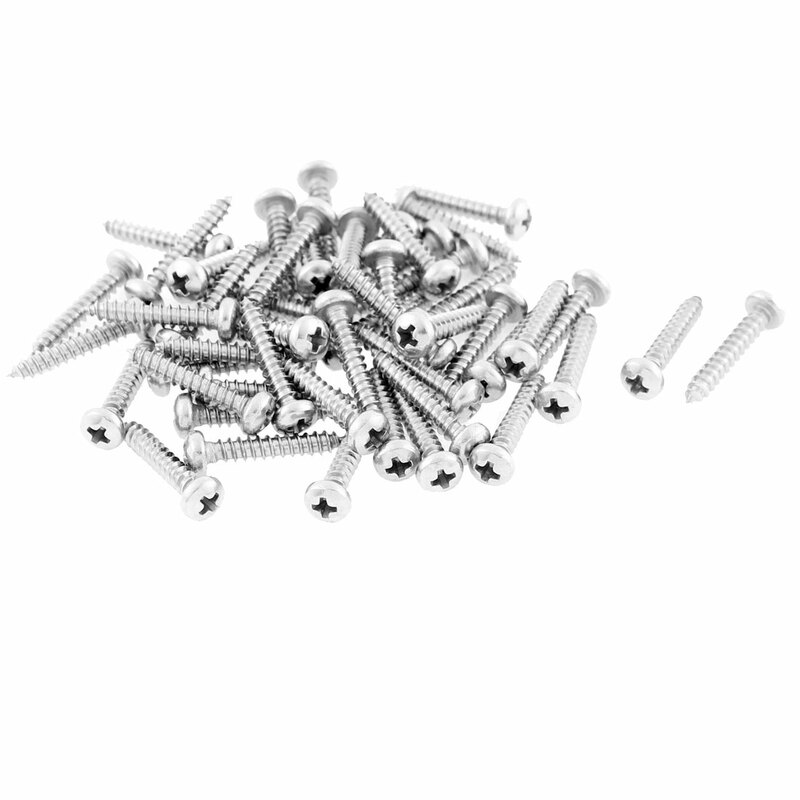 Sheet metal screws have large threads for use in sheet metal sometimes also used in plastic, fiberglass, or wood. Pan heads are slightly rounded with short vertical sides. Sheet metal screws or tapping screws are designed to bind sheet metal to wood and sometimes fiberglass. Manufactured with a sharper, more pronounced thread that allows the screw to better tap or penetrate metal surfaces. Widely used in electronics, communication,?electric power products, cultural goods, environmental protection machinery, etc. Thread Pitch: 24G; Phillips Size: 2mm/0.08"